It’s time to reinvent the graphical score. With musical practice more international, more broad and varied than ever, and electronics in the mix, conventional notational idioms just aren’t enough. 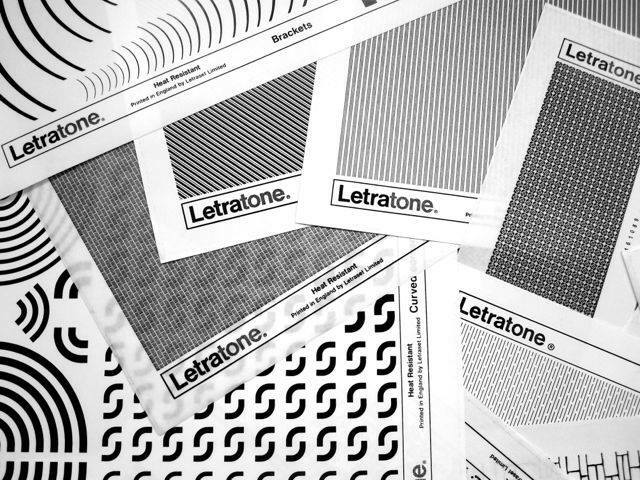 For curator and prolific electronic producer Hanno Leichtmann, the starting point was a collection of vintage Letraset and Letratone type, as pictured above. Leichtmann, a graphic designer himself (and maker of beautiful record covers), is passionate about digital and ink-based design processes alike; even the posters for the event are exquisitely (and expensively) hand-produced. He then invited a who’s who of illustrators and graphic designers from Germany, Austria, France, Great Britain, and Argentina, Dennis Busch, Angela Lorenz, Philip Marshall, Caro Mikalef, Till Sperrle and Damien Tran. 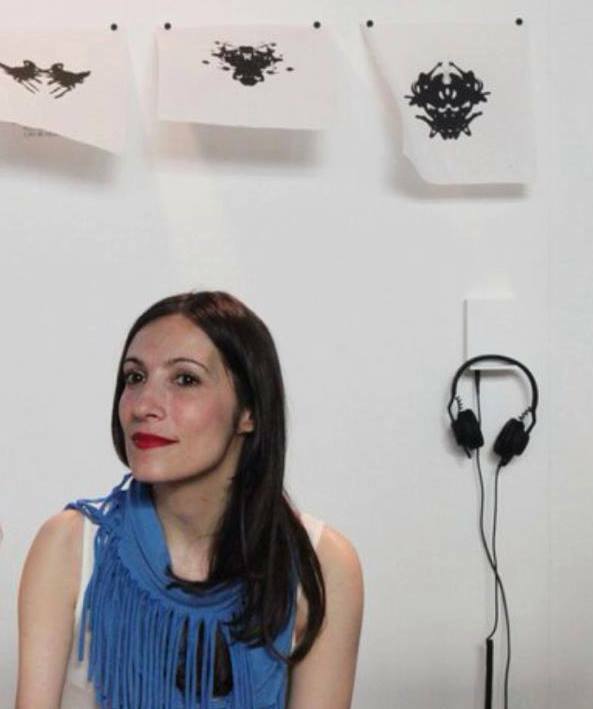 With acoustic and electronic ensembles alike, the resulting graphic scores will be creatively reinterpreted by the musicians, for a whopping six world premieres over just two evenings. Audience members are invited to catch drinks and look through the “action scores” in a lounge. If you’re in Berlin, the event is tonight and tomorrow night – and very affordable – at RadialSystem, and I hear tickets are still available at the door. (Day one and day two are each on Facebook; read more info from host Digital in Berlin or (auf Deutsch) bln.fm. If you’re – more likely – in the rest of the world, though, I think it’s still worth checking out the music, before and after the event. Artists will share the scores alongside the live event. What’s striking about the re-imagination of musical scores is the range of possibility, a sort of second renaissance emerging of graphical possibilities in the post-digital era. The event credits early pioneers in post-War graphic notation Earle Brown, Morton Feldman, John Cage, and Karl-Heinz Stockhausen. But Berlin today is a kind of melting pot of visual and musical possibility, home to the likes of label Raster Noton where visual art and music are commonly intermingled and blurred. If those earlier artists expanded the spectrum of possibility with a radical reinvention of the strict, engraved score, today digital technology and printmaking alike exploit that full spectrum. In fact, perhaps we are finally recovering from a drastic step backward brought by the computer, which tended to favor convenience over choice. There’s no polite way to say this: the most popular notation products are simply dreadful at handling non-conventional notation, requiring elaborate gymnastics for even some more common contemporary notational techniques. But the beautifully-named Letra / Tone doesn’t simply drop artists into graphic scores. It celebrates, too, the scores as art objects and the craft and design history that made them. No mere abstractions, the very technique of print making and connection to physical process are restored to greatness, perhaps an attempt to undo the injustice done by computers to hand-made scores and engraving tradition. Letraset was a company and brand name that manufactured sheets of dry transferable typefaces before the proliferation of computers. Up until the 1980s, these were widely used by graphic designers as well as by engineers, for whom Letraset was a convenient way of applying type to surfaces. In addition to letters in various fonts and sizes, sheets with graphic elements (Letratone) were available. The latter is the namesake of the festival and contains both the graphical (LETRA) and the musical (TONE) in its name. Also check out and old-but-still-relevant interview with Thomas Ankersmit, whose work I particularly anticipate. Hanno’s own music is I think a nice touch point for the event, displaying his keenly-focused aesthetic sense, but also his fascination with pattern and design. The music itself, in his most recently-released “minimal studies,” sounds like the patterns on the Letraset sheets, a hypnotic tapestry of lines and space. Thomas Ankersmit makes sounds that seem otherworldly, from perhaps a distant past or a distant future, like the mystical ceremony of sound he conducted in an abandoned seaplane hangar in Tallinn, Estonia. For all the potential of electronics, the saxophone itself is transformed into an alien instrument in the composer’s own hands. With lapping waves, it sounds like the mournful music we would make after the worlds end and the seas rise. I hope, quite frankly, it’s an idea people steal ruthlessly and reinvent. Certainly, programming graphical music together – whether scores are made with paint or pixels – is an opportunity to provide a window into graphic object and musical result, both. And apart from the live, meat-space events, I imagine I’ll be devoted to listening to these artists on repeat for the next days.